Have your party at our indoor facility in St. Albans located at 289 Swanton Rd(Highgate Commons) in St. Albans. Conveniently located in the same shopping plaza as Hannaford and TJ Maxx. 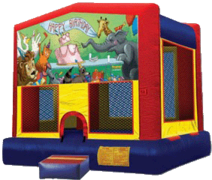 Bounce Around VT caters to the enjoyment of Children. We strive to ensure that their Birthday Party will be the one that they will remember for years to come. Total of 25 children included in the price. 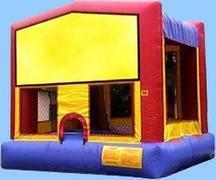 The fun center will be CLOSED to the general public during your private party. Private Parties are ONLY available from 6 to 8pm or 10am to 12pm on Sunday's. Total of 12 children included in the price. The fun center will be open to the general public during your semi private party, but you will have a private party room to use for presents, cake and icecream.